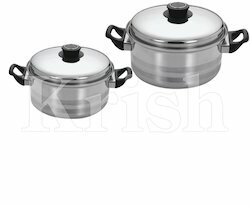 Our product range includes a wide range of encapsulated belly casserole with steel handle, steel handle regular casseroles, encapsulated two tone casserole, silver casserole set, silver liner casseroles and steel handle encapsulated regular casserole. We are offering Encapsulated Belly Casserole with Steel Handle to our clients. 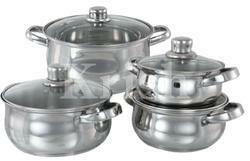 We are offering Steel Handle Regular Casseroles to our clients. We are offering Encapsulated Two Tone Casserole to our clients. 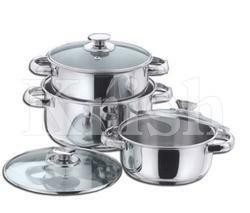 We are offering Silver Casserole Set to our clients. We are offering Silver Liner Casseroles to our clients. 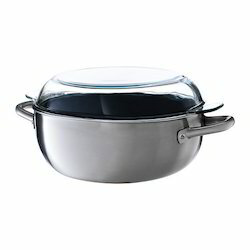 We are offering Steel Handle Encapsulated Regular Casserole to our clients. 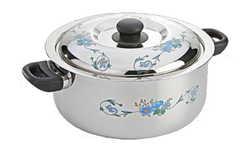 We are offering Steel Handle Royal Casseroles to our clients. We are offering Casserole Set to our clients. 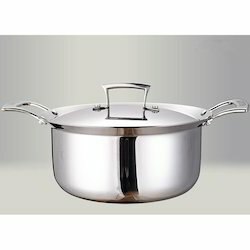 We are offering Stainless Steel Casseroles to our clients. 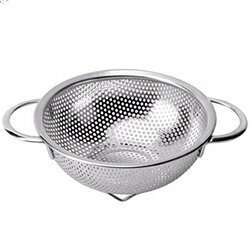 Looking for Stainless Steel Casseroles ?